You are tired of your wood surface looking like yesterday’s pride and joy. The dullness of your worn wood base is really bringing down the whole environment. As desperate as you may be to find a solution that revives your surface, you are not certain as to which solution would work best. 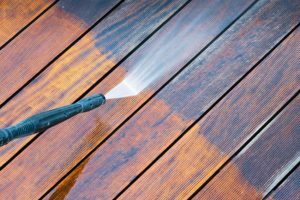 Take a look at the best wood stain remover options below to determine which formula is right for your situation. DEFY gives you efficiency in one container. This remover contains oxygenated bleach for a deep cleaning session that takes your worn wood from old to fresh. DEFY works to remove the gray look that is often brought about contact with UV rays. This product is not just efficient for aged wood but also for new surfaces that just need a brief cleaning session. DEFY Cleaner offers flexibility by being more than just a wood stain remover. 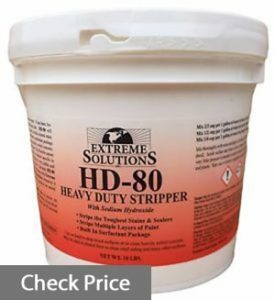 You can clean your whole house with this stripper! This is the best solution for those looking for a deep cleaning agent that is safe for plants and grass. There are times when the average cleaner will not suffice. You need the Heavy Duty Wood Stripper by Woodrich Brand in these cases. This solution removes semi-transparent and solid stains from decks and other surfaces. The Stripper by Woodrich Branch is especially useful outside where weather conditions and other acts of nature wreak havoc on your structures throughout the year. This stain remover, with its two-step process, can restore nearly any wood surface to new. The Heavy Duty Stripper by Woodrich Brand can remove mildew as well as embedded dirt and grime. This product is the ideal choice for outdoor tasks. Where else to go for wood stain removal products than Formby’s Furniture Workshop? This stripper follows in the way of tradition by offering you a solution that is already mixed. Formby’s refinisher easily dissolves and does not require sanding or scraping as preparation for application. This product does the tough job of removing unwanted stains without damaging the wood surface. 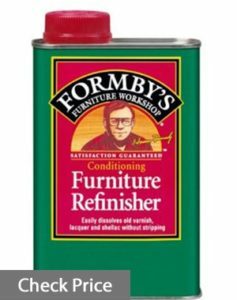 Formby’s Furniture Refinisher is the ideal choice when you need to get to a project quickly and do not have time to mix the solution. You should definitely read the directions in their entirety before using this remover. Florida Laboratories delivers with this solution that removes wood stains, rust, and more. This remover is pure oxalic acid, which means that you get the most for your buck. You can add as much or as little of the product to water to produce the results that you desire. Clean your deck, precious crystals, and prized metals with this solution by Florida Laboratories. Oxalic acid is best for those with advanced knowledge about wood stain removal. This stripper may also be ideal for extremely difficult projects that refuse to bend to other solutions. Restore-A-Deck had you in mind when they created the wood stain stripper. This product offers brightness that makes your wood surface look new. There is also the simplicity of use that comes with the Restore-A-Deck Stain Stripper, which is why many beginners use this removecr when staining their surfaces. 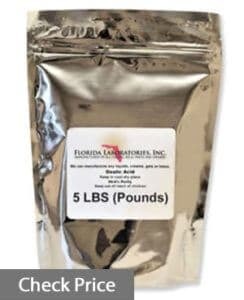 You only need to mix the powder with water to make five gallons worth of solution. The Restore-A-Deck solution provides flexibility as you can add less water and more powder to tackle more difficult projects. 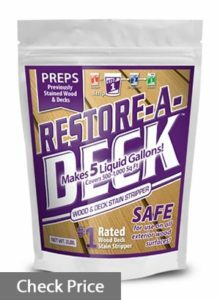 The Restore-A-Deck Wood Stain Stripper removes most transparent and semi-transparent coatings. This product is the best option for beginners and those who want flexibility regarding the strength of the solution. What Is Wood Stain Remover? Wood stain remover is the quickest way to remove blemishes from a wood surface. Instead of taking out the sander and preparing for a full day of labor, you can apply a strong yet gentle solution to remove buildup and stains. Wood stain remover should not be confused with lightning solutions. Whereas lightning formulas are meant to change the color of the surface, removers carry the sole purpose of purifying wood. You may see a dull surface come back to life after using a stripping cleanser. Such change, however, is the cleaner bringing back the structure’s initial color instead of creating something new. Some stain removers come formulated and ready for use out of the package. Those that lean towards the professional realm typically require a bit of assembly before use. There are usually directions attached to the packaging that tells you how much water to add to powdery substances. You can, of course, tweak the instructions to your liking to meet the needs of your project. It may be beneficial, for instance, to add more powder and less water to a mixture meant to clean a weather-beaten deck. You may opt to dilute the solution more when you are using it to clean furniture indoors. What Makes For Good Wood Stain Remover? The best wood stain removers offer flexibility. Many consumers choose powder over an already-formulated solution since a substance that needs mixing puts the power of potency in the user’s hands. You should not count the pre-mixed solutions out, though. This option of wood stain remover is great for quick jobs or instances when you do not have the time to combine water with powder and stir. 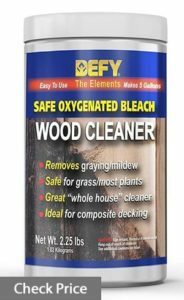 You may want to choose the DEFY wood cleaner if you are looking to purify wood that is severely worn. Formby’s solution is great for quick jobs. 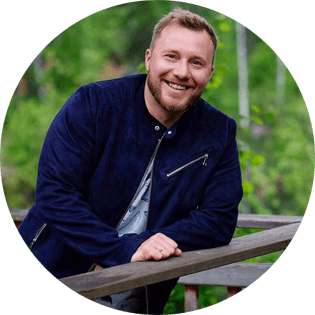 OXALIC ACID is the go-to source for professionals or those who understand the power of the substance. Happy cleaning!